Recreation options at the Doyle provides area residents and visitors with the opportunity to participate in clean, safe, and accessible open spaces throughout the city including parks, playgrounds, and athletic facilities. We provide opportunities for youths and adults to satisfy both their active and passive recreation needs. Some of the active sports include softball, basketball, tennis, volleyball, soccer, and floor hockey. Picnic pavilions and playgrounds are available at various parks throughout the city for more passive enjoyment. Looking for information on SPENCE SOFTBALL? Click here. Various leagues, programs, and clinics for all ages are held throughout the year. 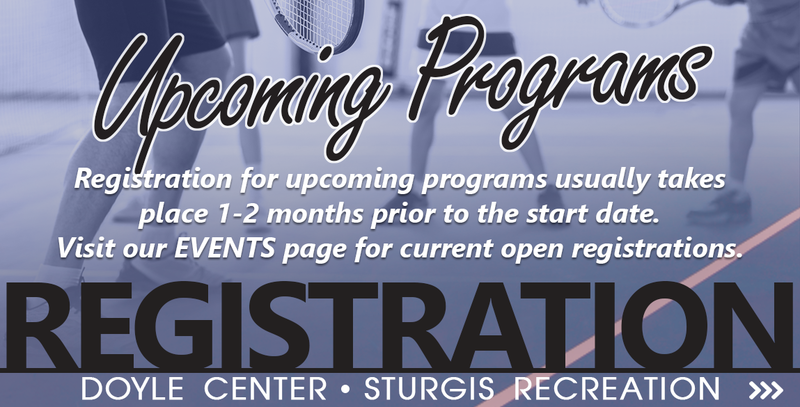 Below you will find our current list of programs for this season, as well as the current and upcoming registrations for programs. Click on the program name to see dates and times or refer to the calendar below. You can also DOWNLOAD OUR PROGRAM PDF for reference or visit our EVENTS page for current program registrations. The Doyle Center works with other local recreation organizations in order to help promote their events in our community. Often times you can return your registration forms and fees to the Doyle when you sign up for their programs. Click the links below to visit their Facebook pages for more information.